Grandparents Day falls on the first Sunday after Labor Day, and there is no shortage of ways to celebrate this special day. Whether your grandparents are still living or have passed away, take some time out of your busy life to honor your grandparents with a card, visit, special phone call or even a candle. 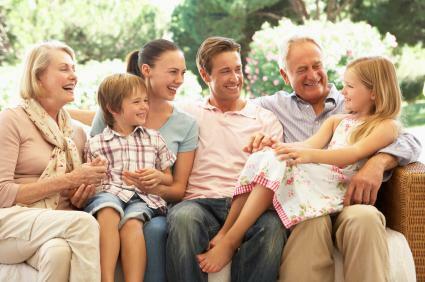 Cynics may want to believe that Grandparents Day is just another trumped up way to sell more greeting cards, candy and flowers, but it still means something to many grandparents across the USA to hear from their grandchildren on this day. With that in mind, consider the following ideas for celebrating this holiday in a meaningful way. Don't just send a card; include a handwritten letter. While a card offers a nice way to show you care, it's even more fun to send a letter with news from your life. A letter written by a young grandchild will also increase the cuteness factor. Have your children give their grandparent a homemade gift or drawing. The grandparents will appreciate the time and effort the children put into their creations, and they'll treasure them more than any retail trinket. Clear your calendar and go visit your grandparents in person. A few hours of your time can mean a lot, and you never know how many more holidays you may have together. If you can't visit in person, your grandparents would still love to hear your voice. Set aside some time for a nice long phone call. This gives you all an opportunity to catch up on what's going on in your lives. Plan a special outing. Take the grandparents out for a day at the park, the zoo, or the movies. Make it an event that all generations can enjoy together, but also take care to choose activities that suit your grandparents' health and mobility. Scrapbooking offers the perfect opportunity to spend time together sharing precious memories. 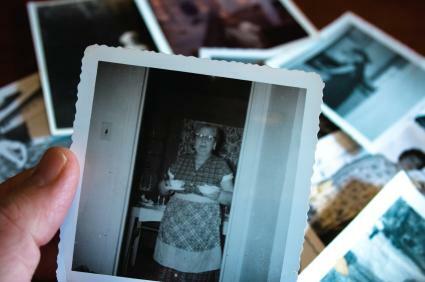 Gather up old photos, sit down with your grandparents, and create a lasting memento of your family's history. Hold a luncheon or dinner in honor of your grandparents. Be sure to include other family members who also want to spend time with Grandma and Grandpa on this day. Dedicate the day to learning more about the past and listen carefully to your grandparents' stories. Record them on tape, or write them down to create a lasting record of your family's history. If you're interested in genealogy, you can also use this time to expand on your family tree. Plan a school or church event. Taking part in a special presentation can help you honor grandparents on a larger scale. It might be nice to offer refreshments as well. Ask your grandparents to teach you about their favorite hobby. Whether they prefer bird watching, gardening, golfing or playing poker, they'll enjoy the opportunity to spend time with you and the chance to share a favorite pastime. Just because you have lost your grandparents doesn't mean you shouldn't celebrate. Try out these ideas for your beloved grandparents. Consider visiting your grandparents' graves and planting some fall mums or placing a wreath on them. Even spending a few moments of silence remembering them and times you shared together can make the day special. 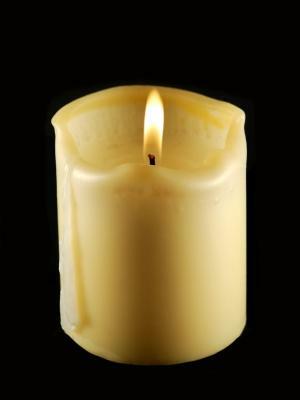 Lighting a candle is a very symbolic gesture, and it's a lovely way to pay homage your grandparents. You could light a candle at church or light one at home and let it burn all day long in a safe location. Gather members of your family for a special dinner to commemorate your grandparents' lives. Ask everyone to bring their favorite photos to share, and set a special place at the table for each grandparent to show he or she is still present in spirit, if not in person. Ideally, try to serve some dishes made from some of their family recipes. Consider volunteering to spend time with seniors who may not have any grandchildren to visit them. The nursing home or senior center staff can help identify seniors who are lonely and might like some company. You could talk with them and let them share stories about their lives and families, or they may enjoy being read to. If you form a bond with a particular senior, you might even like to continue visiting on a more regular basis. It doesn't matter if you plan an elaborate celebration or just plan to share some quiet time together. Your grandparents will still appreciate hearing from you and spending time with you no matter what you have planned for the day. What really matters to them most is that you care enough to mark the day with them, so make the most of the time you have together.